Rotarians unite the power of one with the power of many to bring about exceptional change. We are a network of men and women across all vocations and cultures. We are a non-political, non-religious organisation focused on making a difference to improve the well being of local and international communities in need. To be a Rotarian is to develop your skills, enhance your professional networks, grow your knowledge, enjoy the camaraderie of like-minded people and build life-long friendships. Our club comprises professionals from a diverse range of vocations including accounting, architecture, education, engineering, financial services, law, medicine and real estate etc. The Rotary Club of Essendon is part of a global network of over 32,000 clubs comprising over 1.2 million members. Wherever a Rotarian travels in the world they have an opportunity to network with international business professionals through an open invitation to attend Rotary meetings being conducted in whatever city they may be in. 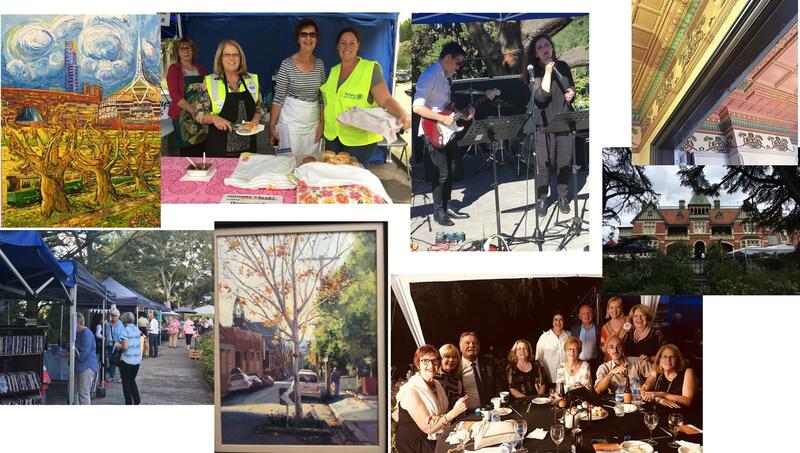 The Rotary Club of Essendon pride ourselves on our 84+ year track record of completing enduring relevant community service projects and the fact that 100% of all funds we raise are distributed directly to the causes we support. Unlike other organisations we do not deduct management fees. We were chartered in 1935 as the first suburban Rotary Club in Australia. We meet every 1st Tuesday for dinner, 6.45pm for 7.00pm-8.30pm, and every 3rd Tuesday of the Month for lunch, 12.45 for 1-2pm, at the Anglers Tavern, 2 Raleigh Road, Maribyrnong, 3032. Meals are served and each meeting finishes promptly. Meetings usually include a guest speaker with a broad range of topics covered. Recent guest speakers have included: Stephanie Woollard (Seven Women); Stephen Mayne (Journalist and Corporate Governance activist); Ben Mabon (AFL Players Association - Project Ladder); Dr Bridie O'Donnell (Champion cyclist and rower, media commentator and specialist in Men's Health at Epworth Hospital); and Holly Ransom (Corporate Strategist and Australian Prime Minister's appointment to G20 Youth Summit).